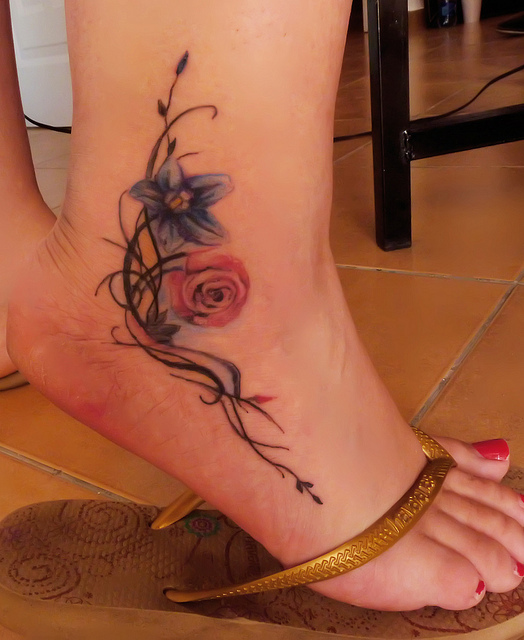 Women and flowers have an everlasting relation. 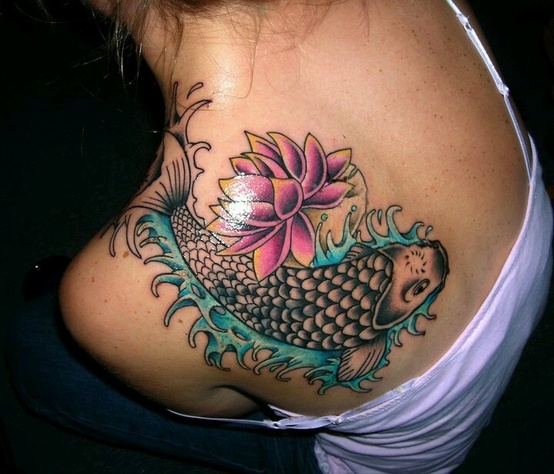 Both are God’s perfect vision of femininity. 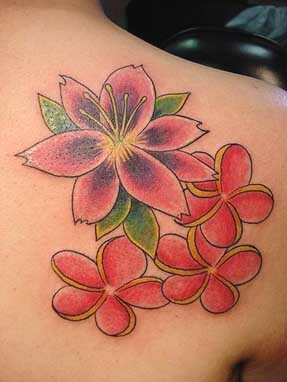 They are beautiful, sensitive and spread fragrance and joy. 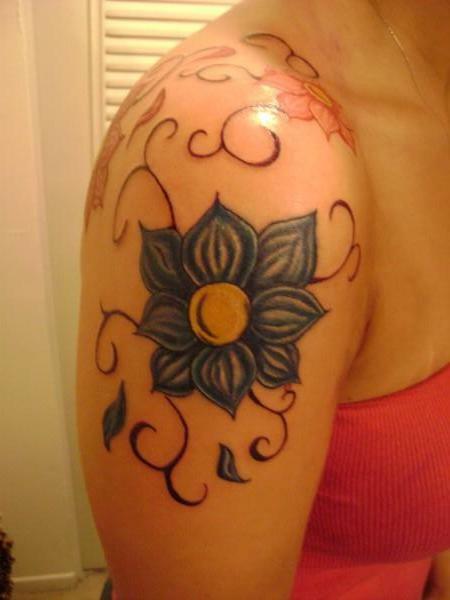 Flower tattoos are very fitting for women and there are some amazing designs that women can get for them. 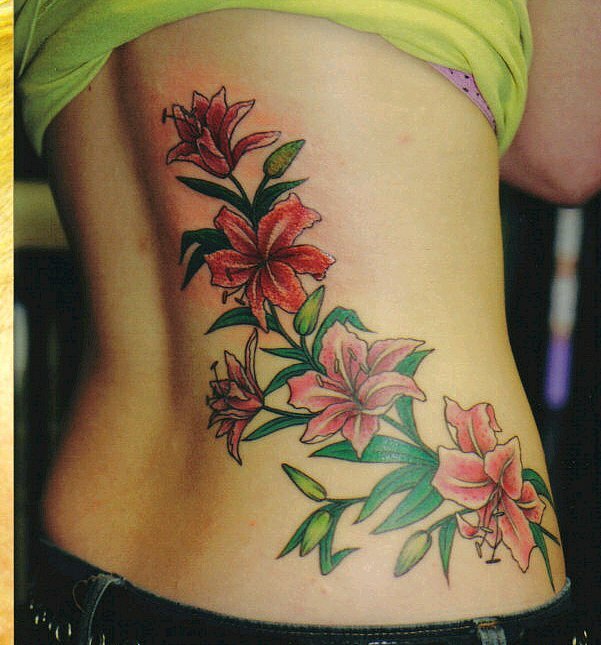 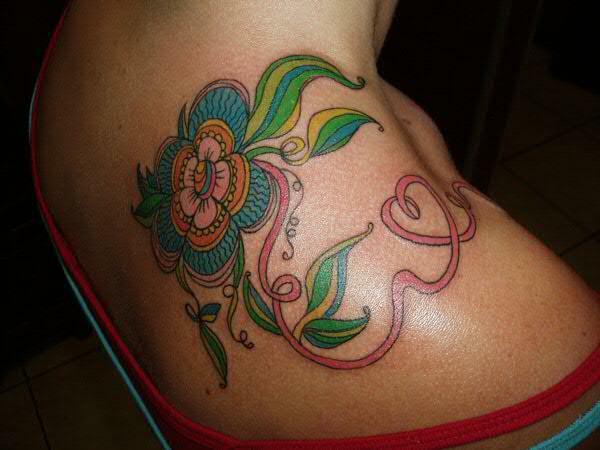 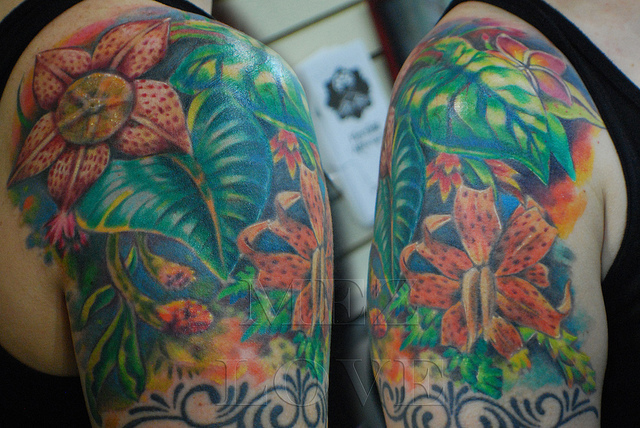 A colorful flower tattoo along with green petals on the side of the abdomen gives luscious vibes. 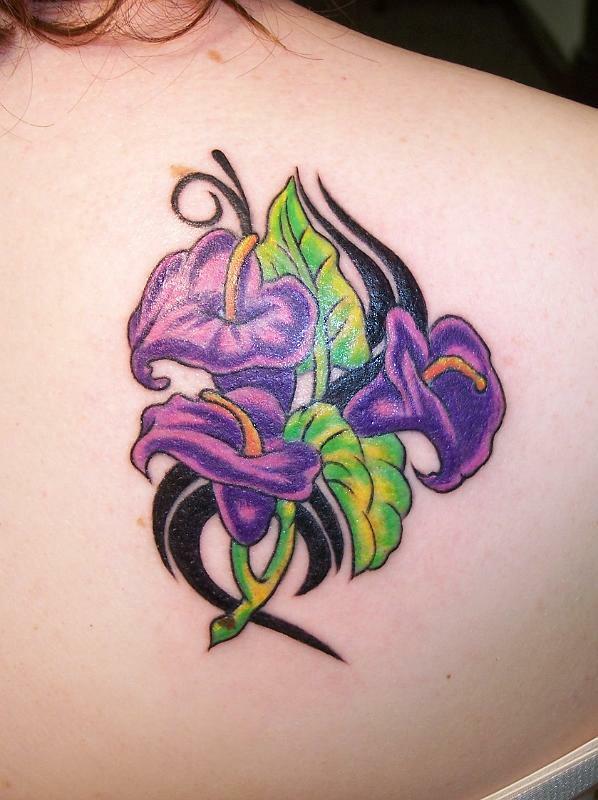 It connotes that the woman is as beautiful and delicate as the flower she is wearing. 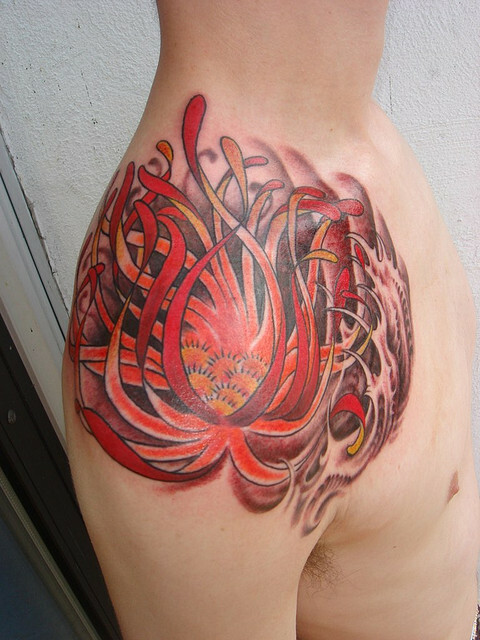 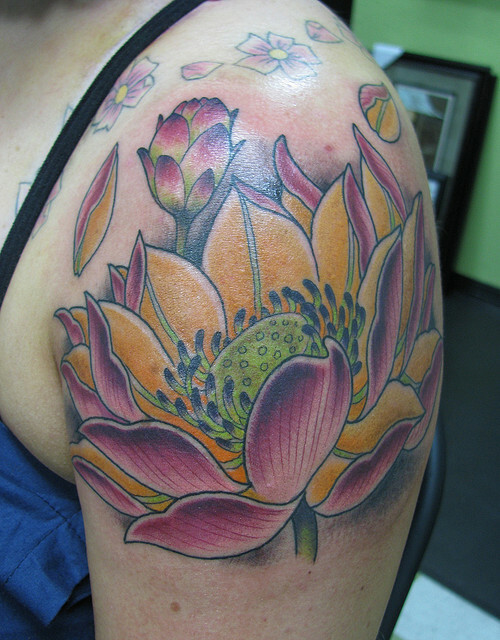 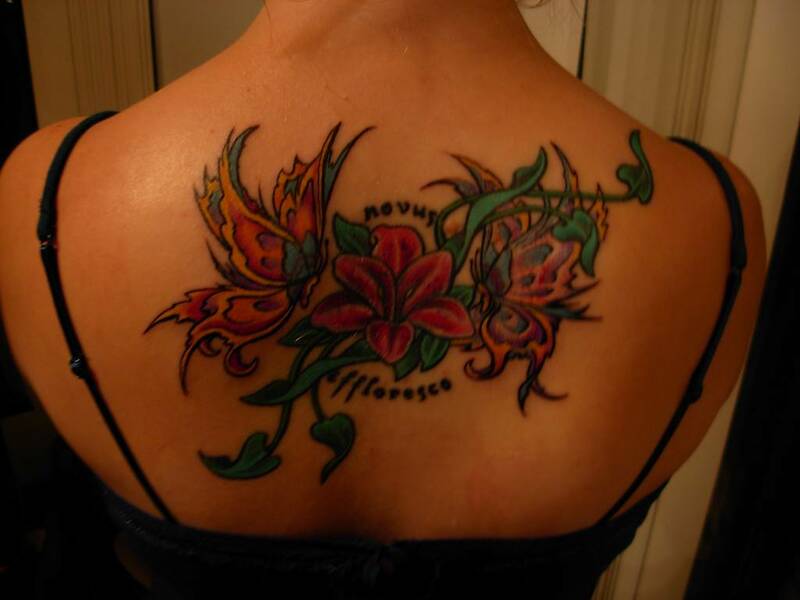 A lotus tattoo with fish on the shoulder shows the woman is sensitive as well as adventurous. 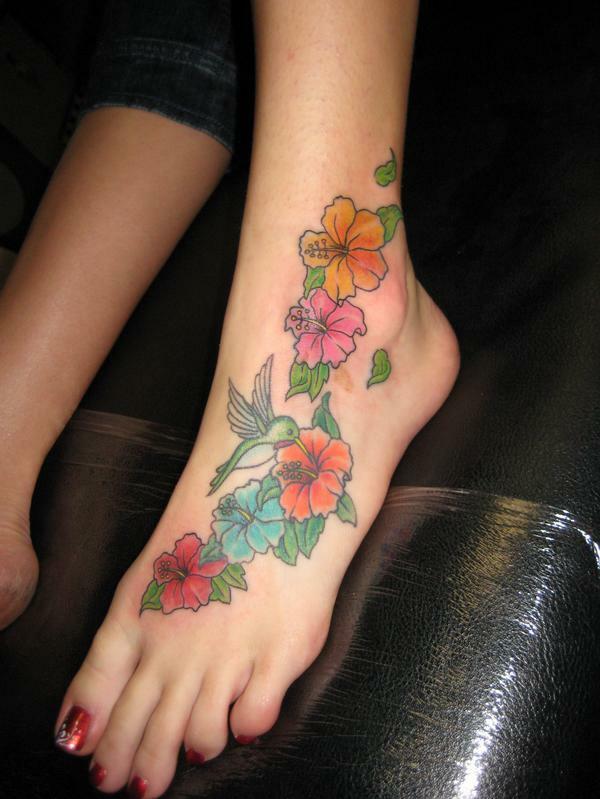 Another beautiful flower tattoo is a series of flowers, with a humming bird on a woman’s foot. 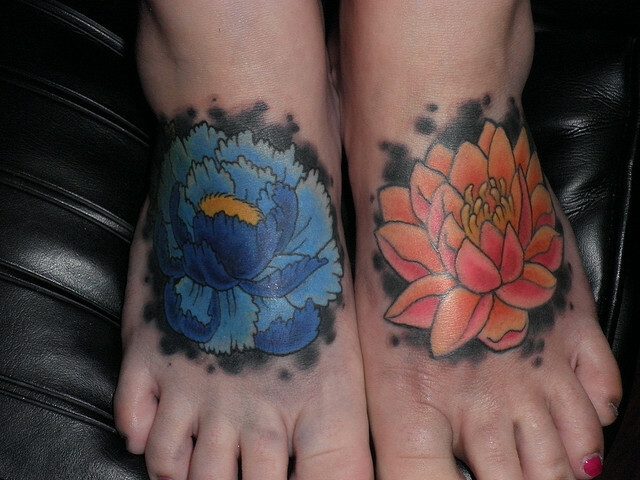 If a woman walks with a foot embellished like that, you can virtually see the petals emanating from wherever she sets her foot. 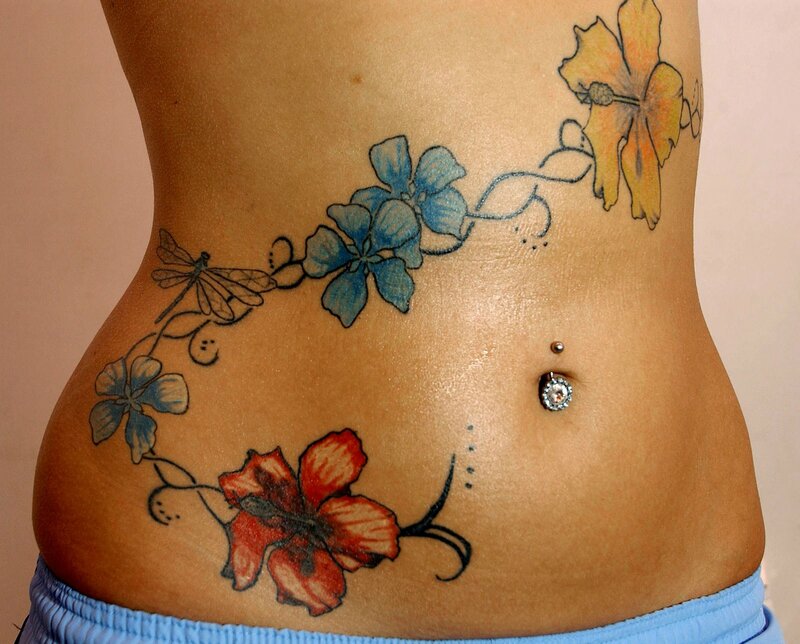 An abdominal side tattoo supporting flowers and a statement is a perfect combination of words and visuals. 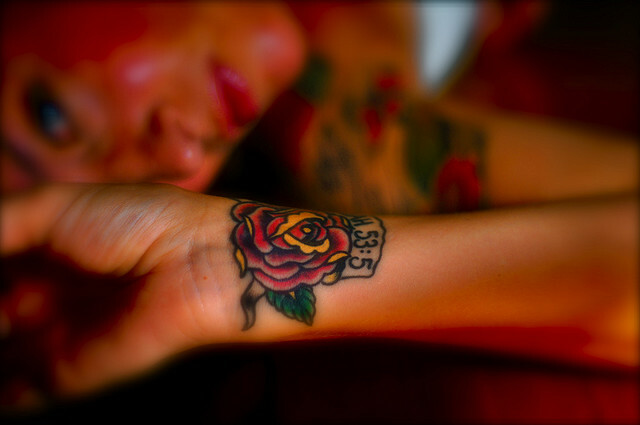 A black rose tattooed on a woman’s body tells you that this chick is as mysterious as she is beautiful. 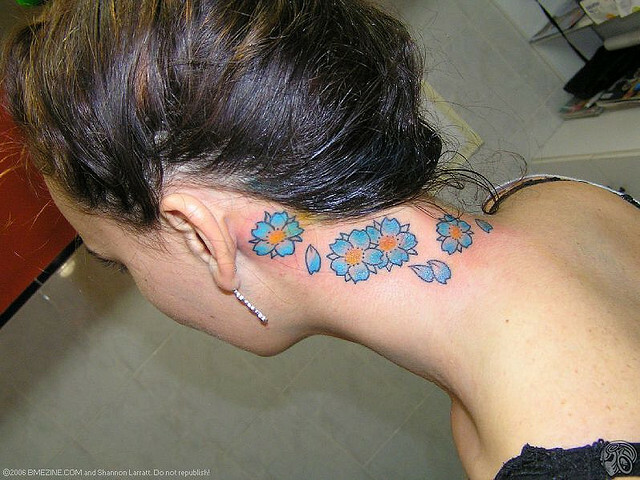 If she has a series of simple flowers tattooed from at the back of her neck to her shoulder, she is a simple, loving and adorable woman. 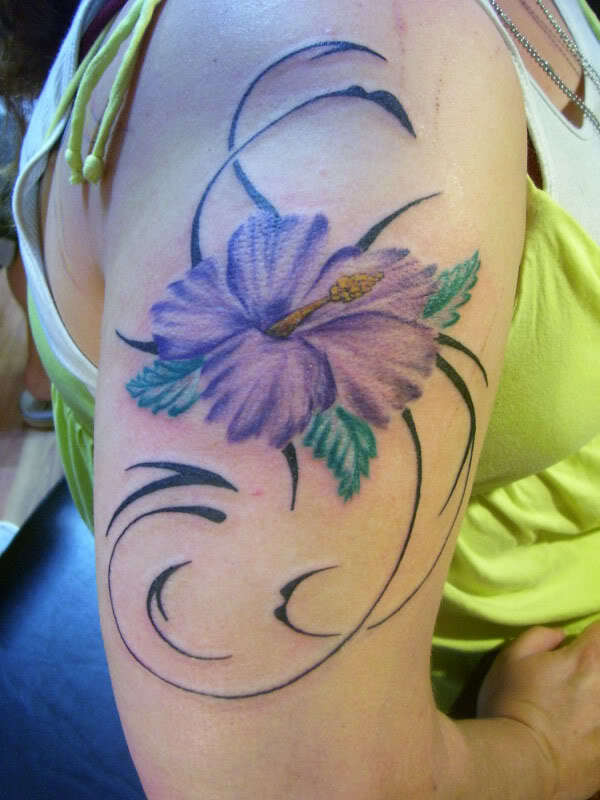 If a woman has a flower tattoo on her hand, her touch would be as delicate and comforting as a flower’s. 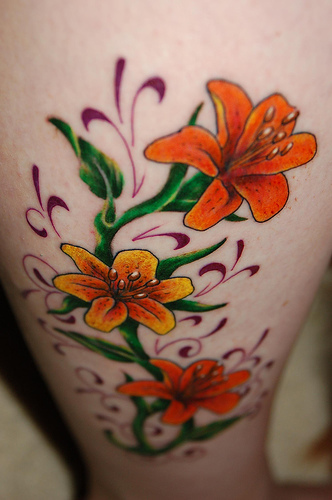 Flowers are a symbol of color and beauty. 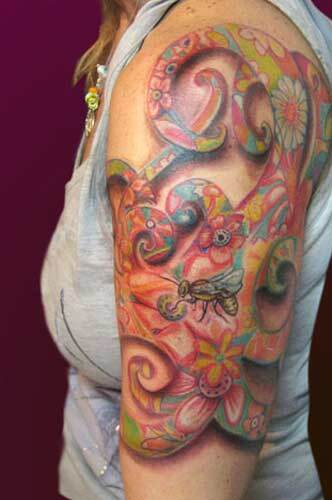 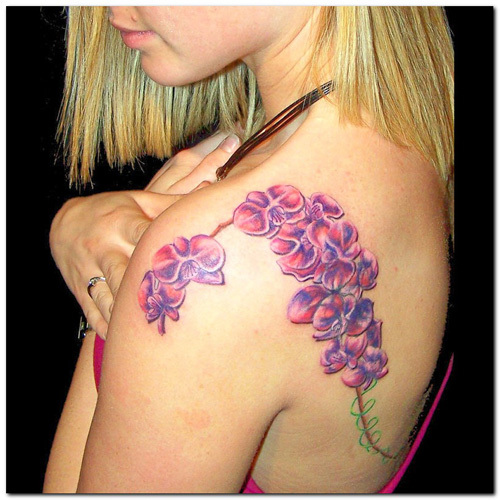 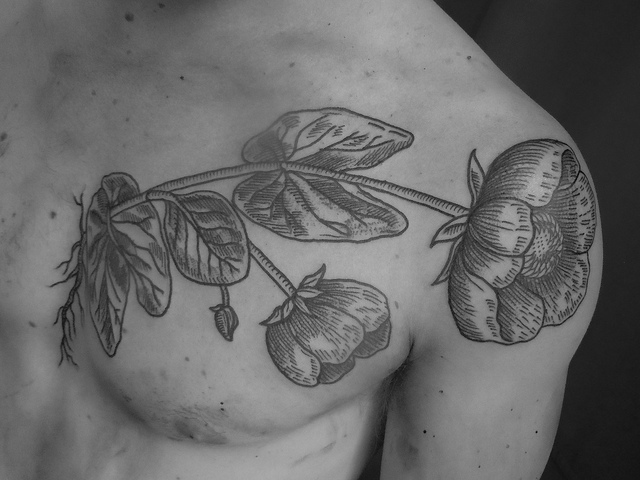 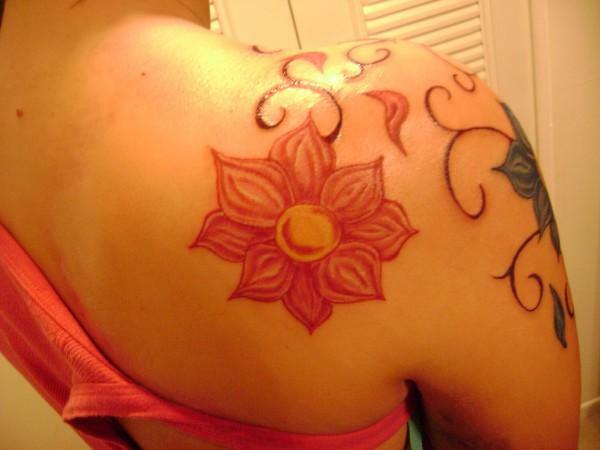 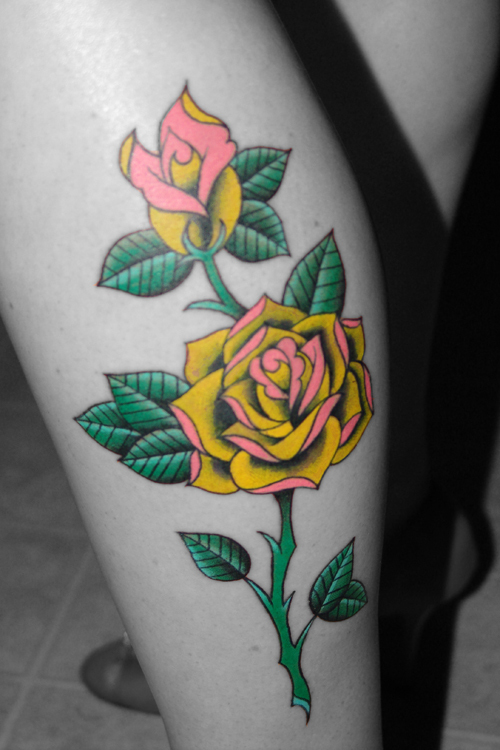 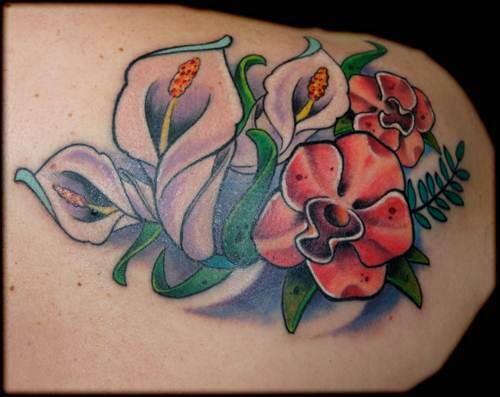 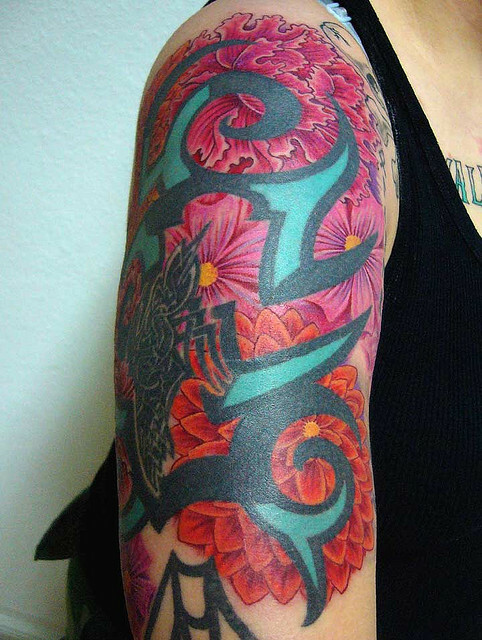 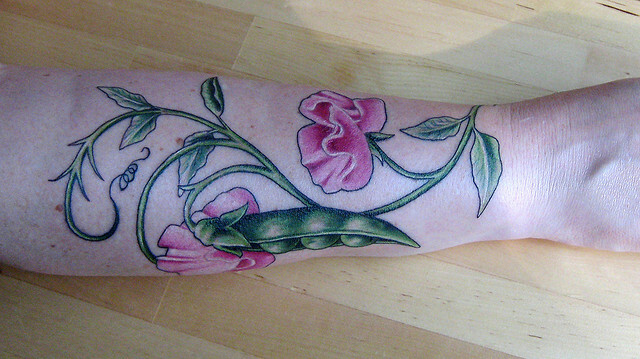 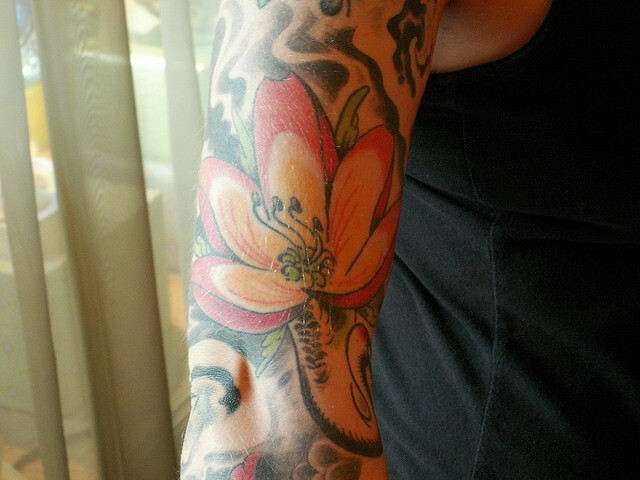 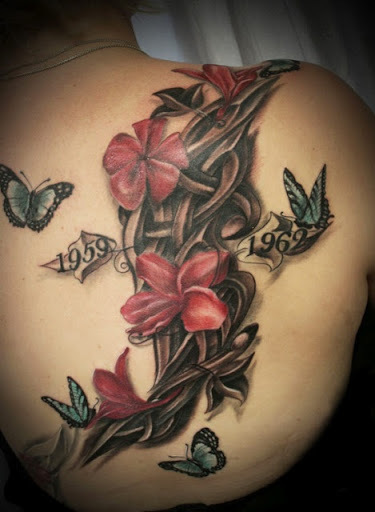 Women can get many flower tattoos with an unlimited selection of colors. 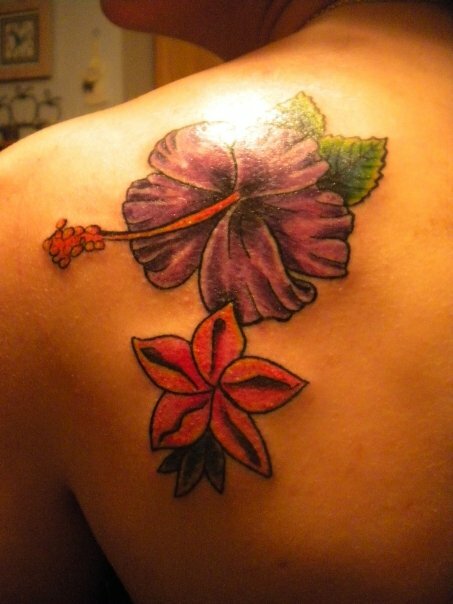 After all, tattoos are supposed to give a statement about the person; so more colors mean the woman is fuller in life. 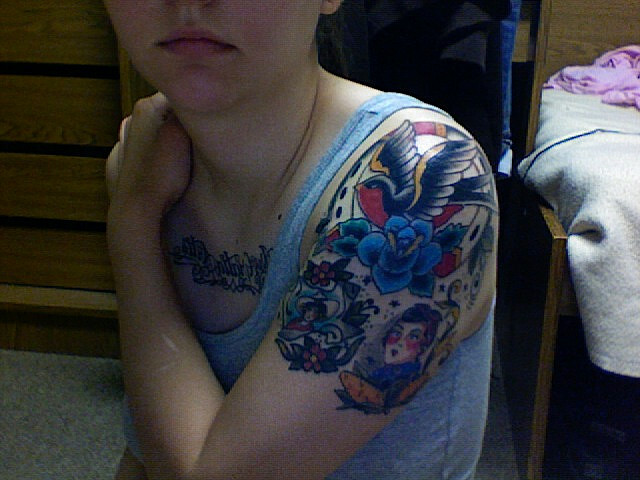 You can actually tell a lot about a woman by her inking. 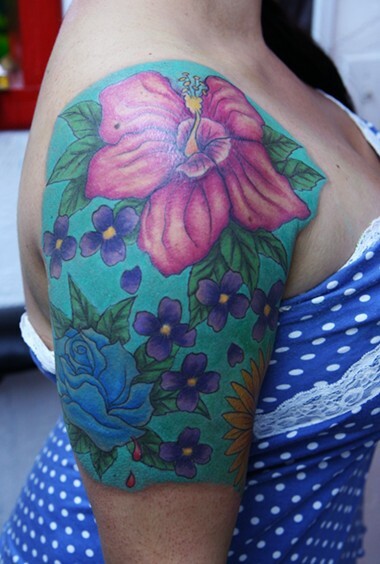 All in all, a woman with flowers tattooed on her is no less than a fragrant bouquet, promising to bring color, love, life and all the good things in it.